This Women’s Month we’re celebrating the incredible women who make SweepSouth the cleaning powerhouse that it has become in just two short years, from our SweepStar cleaners to our behind-the-scenes team and the customers who have taken a chance on us, trusted us to make their homes a happy place. And none of the SweepSouth success could have been possible without the woman at the very center of it all, our trailblazing, motivating, inspiring CEO, Aisha Pandor. Reinventing The Wheel – If you want something done right, do it yourself! A tale as old as time, Aishas’ SweepSouth story began with a drawn out and dismal experience in finding a cleaner and the thought that she could probably get the job done better. While looking for a short-term domestic cleaner to help out around the home, Aisha experienced first-hand the archaic inefficiency, challenges and poor pay of domestic workers within South Africa. She and Alen Ribic, her husband and now business partner, began to brainstorm ways to advance the cleaning industry for all involved, using technology to do so. 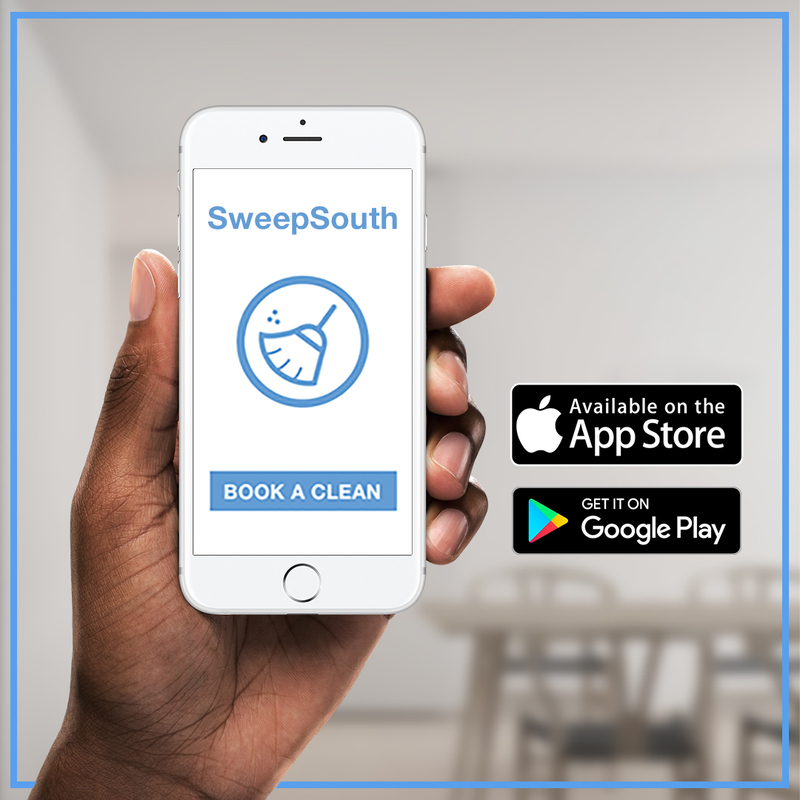 Within a few short weeks, the duo had quit their corporate jobs and plunged into the creation of SweepSouth.com, now South Africa’s most convenient cleaning service. Inspired by on-demand services like Uber, SweepSouth allows cleaners to sign in and out of the innovative platform according to their schedules and location, putting them in charge of their own earning potential. Two years on, SweepSouth has initiated over 50 000 cleaning jobs in three cities – Johannesburg, Pretoria and Cape Town, with Durban next on our hit list. The majority of our cleaners are women, either previously unemployed (71%) or under-employed and struggling to find sufficient work (29%). The company itself is currently run by 90% women, and headed up by our remarkably emboldened CEO, who is passionate about giving women the opportunity to shine for themselves. With each and every SweepStar trained by management, the reciprocal rating system motivates each cleaner to hone her skills and further her career, with full support from our head office. The popularity of SweepSouth is not the first taste of success for Aisha, who has risen to the challenge and conquered male-dominated scenes her whole life- her formal education was spent in a lab, where she completed a PhD in human genetics before turning her attention to Business Management. In 2012 she was awarded the South African Women in Science Award for her research on hereditary diseases and was placed on the Mail and Guardian’s list of 200 Young South Africans. The cutting edge tech involved in the design of SweepSouth has attracted attention on a global scale; earning recognition and honours from industry giants TechCrunch and the international 500 Startups programme, which gave Aisha and Alen the opportunity to spend four months in Silicon Valley, San Francisco, learning from and sharing ideas with most successful veterans in the tech business field. Aisha’s initial goal – to reinvent the outdated cleaning industry and empower the women who work within it – remains the guiding pillar of SweepSouth. Evidence that the business is addressing very real needs and a serious shortage of employment are seen in the remarkable growth of SweepSouth to date. With plans to roll out SweepSouth across the country and many more exciting highlights just around the corner, keep an eye on SweepSouth and our team as they continue to flourish with success under Aisha’s watchful guidance. Next Post R100 FREE COFFEE IS JUST A CLEAN AWAY! Someone needs to contact me asap! I have written numerous emails since October and no one responded ! Very disappointed with the services. Tried calling the Support number but no one answers as well! Hi Rayhaana, sorry for the delay in reply. Our Customer Service will be in touch tomorrow.